For more than three decades, Duckhorn Vineyards has been crafting exceptional Napa Valley Merlot reflecting the rich diversity of the valley’s many appellations Drawing on our winemaking team’s expertise working with this varietal, Decoy Sonoma County Merlot is a lush and inviting wine highlighting the elegance of the varietal from another exceptional growing region. 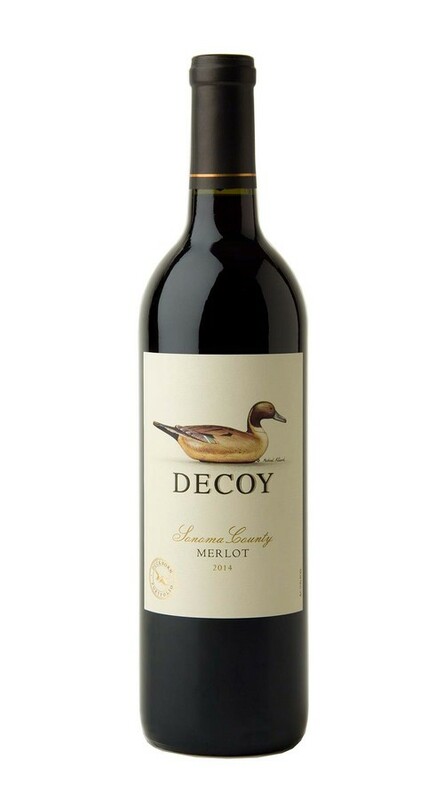 This lush and inviting Merlot displays flavors of ripe blackberry, black cherry and cassis, underscored by hints of sweet spice, cocoa and leather. On the palate, balanced acidity adds poise and elegance, while silky, refined tannins carry the wine to a fruitful and concentrated finish. After getting off to a relatively early start, sunny skies and slightly above average temperatures made for a very consistent and speedy Sonoma County harvest. Yields were just a touch above average, and the quality was excellent across all varietals. Our final pick of pristine, perfectly ripe fruit came into our new winemaking facility on October 17th. Overall, 2014 delivered the third phenomenal vintage in a row, with exceptional color and concentration, and delicious aromas and flavors.